Consumers will have lots of opportunities to try new and emerging flavours in 2017. According to flavour experts, in 2017 they will share a desire for natural flavours, both those familiar and those more unusual. Especially spicy flavours are perceived as trending. Spicy flavours are hot. 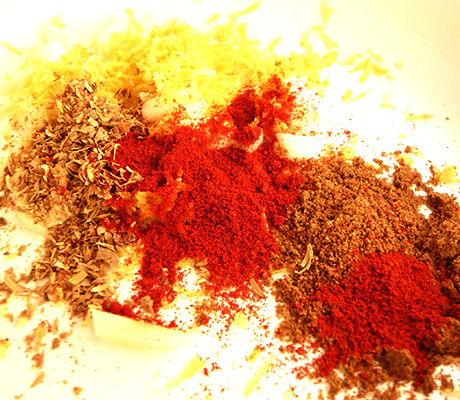 “Spices that were once exotic and unfamiliar are becoming familiar and ubiquitous. Spices are now mainstream and accessible,” says Comax Flavors in a press release. Spices have the added benefit of appealing to younger consumers, points out flavour supplier Kerry. “Indian, Thai, Japanese, Filipino, and Korean flavours are particularly favoured by younger generations,” the firm says. Especially Asian spices and flavours such as cardamom, togarashi, dragon fruit, yuzu, shiitake mushroom, chutney, szechuan, miso, maitake mushroom, shishito pepper, turmeric, and gochujang are up and coming. “Look forward to these spices popping up on non-traditional items such as chips and fries, which creates an approachable dish for consumers to try these spicy and unique flavours,” the company says. There is also a growing use of spices in beverages. Comax predicts exotic combinations such as cinnamon caramel, cocoa curry, and ginger mandarin cardamom, for everything from coffee and tea to dairy and alcohol. “Consumers are now open and willing to experiment with spices to experience new flavours,” said Catherine Armstrong, Comax Flavors’ vice president of corporate communications, in a press release. Megan Trent, marketing representative for Gold Coast Ingredients pegs some of 2017’s hottest spices as sriracha, jalapeño, chipotle, ghost pepper, and harissa. She says nutraceutical makers are turning to spices as a way to add excitement to their products. “In 2016, spicy (heat) flavours innovated the nutraceutical industry,” such as in sweet and savoury nutrition bars. “We predict more experimentation in 2017 as companies find new and exciting ways to add heat to their products,” Trent says. According to a Firmenich press release, “At first glance, the cucumber may appear to be just a simple salad staple, yet it is gaining traction around the world, with a 392% increase in the use of cucumber as a flavour globally between 2011 and 2016 according to Mintel.” The company says consumers are drawn to cucumber’s “lighter, refreshing ‘green’ flavour”; the soothing, nourishing refreshment it provides “in a busy, stressful world”; and the fact that cucumber is clean and healthy. Floral and fruity notes are also becoming more popular with consumers, experts say. “In 2015 and 2016, there was an increase in products with sweet (fruity, honey) and subtle floral flavour notes,” says Gold Coast’s Megan Trent. Trending flavours in 2017 include elderflower, serviceberry flower, hibiscus, lavender, rose, and jasmine. “Companies will continue to experiment with new flavours as they find complementary floral flavour profiles,” she says. Comax’s also spots this growing trend and includes blueberry hibiscus, orange blossom vanilla, and raspberry lavender in their flavour line. “Floral flavours are popping up and making their way into food and beverages, including alcoholic and non-alcoholic beverages and dairy products such as yogurt and ice cream,” says Comax. Kerry notes that smoked flavours are also becoming more complex. “Now the flavour profiles are moving beyond ‘smoky’ and into particular varieties and flavour callouts such as mesquite, apple-wood, and pecan-wood.” Smoked flavours are no longer limited to culinary and meat products, Kerry adds; they are infiltrating everything from beverages to sweet foods. Similarly, Comax notes that innovative smoked flavours—such as blackberry BBQ, smoked tomato, and torched vanilla—are appearing in everything from dairy and fruits to vegetables, desserts, and even cocktails. “In packaged foods, inspiration from smoked foods can be seen in unexpected applications such as beer, snacks, and chewing gum,” the company adds. “Despite the evolution of innovation, classic flavours continue to be leading flavours throughout the nutraceutical industry and will remain at the top of consumers’ preferences,” says Gold Coast’s Megan Trent. Consumers will also welcome the indulgent, dessert-style flavours that have been so popular in recent years, especially in beverages and nutrition bars—flavours such as salted caramel, cinnamon bun, chocolate brownie, coffee desserts (mocha, vanilla latte, caramel latte), and birthday cake, Trent adds. Formulators are hoping that consumers’ familiarity with these flavours will make them more accepting of these same flavours in unexpected applications. “Classic and nostalgic flavours are finding their way into new and unexpected applications,” says Comax. Flavors such as - grilled cheese, milk & cookies, and root beer marshmallow—are now being geared to dairy and baked goods, confectionery, snacks, and even alcoholic beverages. Flavour firm Kerry says that “blurring” flavours will be the path forward. “Flavours are blurring from one category to another as consumers continue to explore comfortable flavours in new formats,” the company says. “This is why we’ll see alcoholic flavours moving into other categories and sweet and savoury flavours continue crossing over and appearing in unexpected places,”it adds.